We live in an over sensitive society. Peoples feelings get hurt by some of the silliest things. We have all heard the term “politically correct”, have we not.Â It is so important that we do not offend our neighbor. 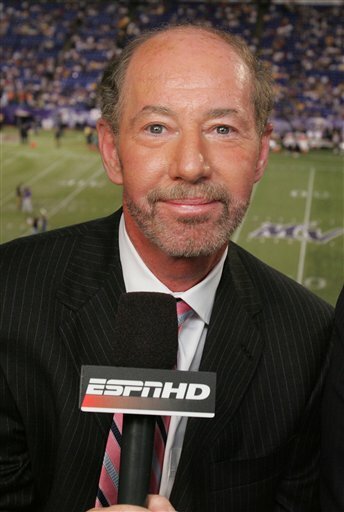 Tony Kornheiser, an ESPN show host, was suspended for two weeks, because he commented during his show, on the clothing that a co- worker, Hannah Storm, wore to a film premiere. The comment read like this: “Kornheiser described an outfit Storm was wearing at ESPN last week as “horrifying,” saying her shirt was too tight and looked “like she has sausage casing wrapping around her upper body.”(AP.). I have to question why this is so bad. It isn’t like he said she looked like a two bit whore in that outfit. Today a comment like his is enough to get you suspended! You are not allowed to give your opinion on how someone is dressed. Other people get paid to comment on public figures like Hannah Storm’s attire, everyday. Just check out People magazine or theÂ Star. My question is this. 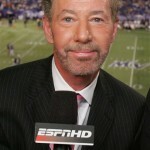 If Kornheiser said this about his on air partner, Michael Wilbon, would he still be facing a suspension? I sincerely doubt it. Is it that we have to treat women differently than men? Is it that women are more sensitive than men? Did he really say something that bad, that he deserved to forfeit his pay and face the embarrassment of having to apologize for his comment.? Ok ay maybe he offended her, but it was just his opinion. It goes with freedom of speech. My thought is that he works for the same company as she, and ESPN felt a need to set an example because everyone is so damn scared of being sued for sexual harassment. There is no way that this happens, had he commented on a fellow male co worker’s attire. Wake up people and stop this craziness. There are far more serious things to suspend someone for. Punishing this man for stating how he felt a female co-workersÂ attire looked is over the top and ridiculous. The headline should have read ” Stuffed Sausage Storms in and Kiboshes Kornheiser!” At least I would have found that funny….